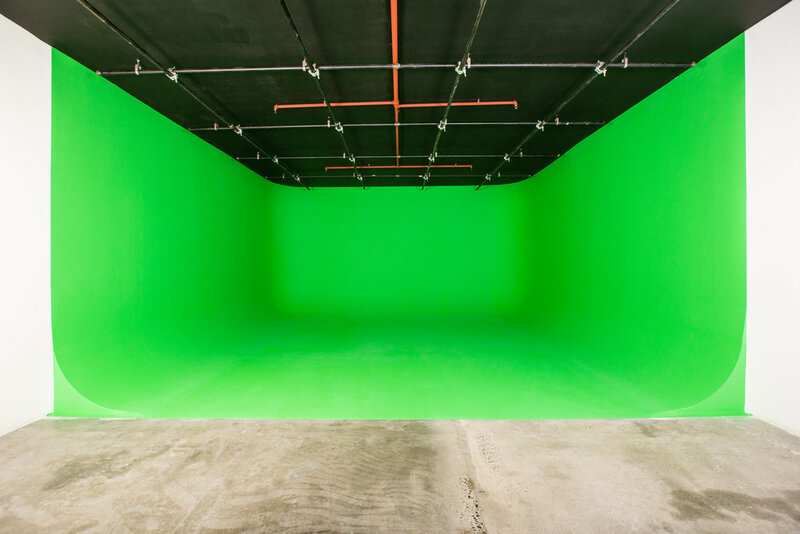 Brooklyn Soundstages NYC has a two film or photo studios with green screen or white cycloramas that can satisfy just about any kind of shoot requirement. We are conveniently located in the creative hive of Bushwick, Brooklyn, New York. We can handle booking logistics for your production in our rental studios, and can have all the equipment you need waiting for you on set. We also provide a host of video production services including lighting, grip & electric and camera rentals, expendables, production supplies, catering, and crew. Our in house equipment department can handle delivering any size order to you anywhere in NYC. Send us your production & location needs, your lighting equipment list, and budget requirements. We will take it from there! Both our film stages come equipped with large cycloramas, 600amps of electricity each, with lighting grids above. Studio 3 has a three wall 180 degree cyc, and Studio 4 has a two wall L shaped cyclorama. Both white cyc walls can come pre-lit upon request, can be delivered painted for green screen and are fully sound insulated. We are a full service equipment rental house with lighting, grip and electric, camera rentals, production supplies and expendables. We will have everything you need waiting for you on set.